Here at Nature’s Bakery, we are an open book. You can ask us anything. And some people already have. In case you’re wondering the same things, we’ve put together this handy list of FAQs. Of course, if you have a different question, go ahead and shoot. We’ll get back to you soon. What allergens do Nature's Bakery products contain? The only allergen present within our manufacturing facilities is Wheat. 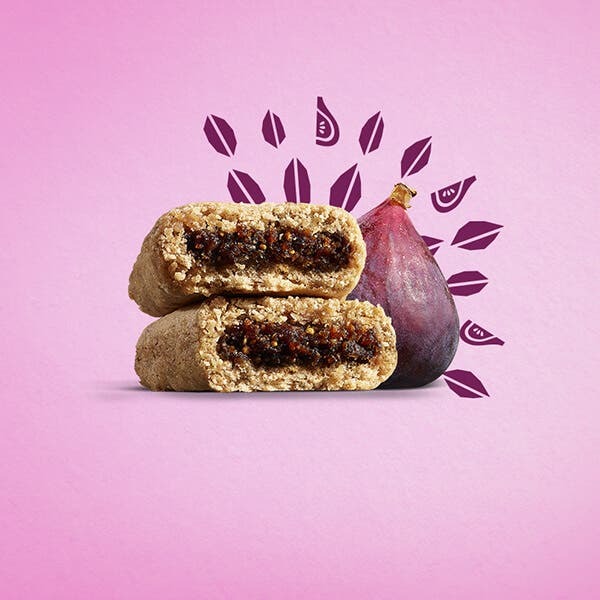 Wheat is present in all products manufactured by Nature's Bakery besides our Gluten Free Fig Bars, which are certified Gluten Free, Kosher and Vegan, verified Non-GMO as well as dairy free, egg free and soy free. To mitigate cross contamination, this is controlled through scheduling—Gluten Free is ran prior to Whole Wheat on fully cleaned, sanitized, and validated equipment. Our finished products are tested through a method that verifies that there has been no product contamination. 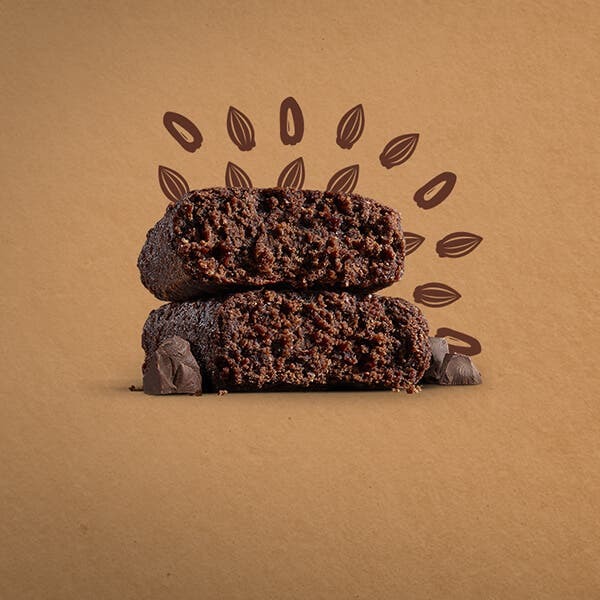 Our Fig Bars and Brownies are made on dedicated oven lines that do not manufacture any products that containing egg, soy, sesame, milk, peanuts & tree-nuts. These are the measures we take to help eliminate the possibility of cross contamination of allergens to our products: Allergens are controlled via-allergen separation (in storage areas), allergen labeling (all allergens are labeled-including individual units), color coding (utensils used to handle allergens are colored), employee awareness training of allergens (annually re-trained), proper ingredient handling procedures, and GMPs-Good Manufacturing Practices. Do Nature’s Bakery products contain peanuts or tree nuts? Products manufactured at Nature’s Bakery facilities do not contain peanuts or tree nuts, with the exception of coconuts. Our Organic Salted Caramel Brownie is made with a vegan caramel that contains highly refined coconut oil. Highly refined oils are exempt from labeling requirements by the FDA because they do not contain the allergenic protein and are considered safe for consumption. Despite this, we advise allergic individuals to consult their doctor for advice on this. Is the Glycerin in your products come from an animal source? No, the glycerin is derived from a vegetable source and is Certified Vegan. Learn more here. Are your bars made in the USA? We have two bakeries. One located in Hazelwood, MO & another in Carson City, NV. Our products are baked and packaged in the U.S.
Do fig bars contain dairy or eggs? No, they are Certified Vegan. Do your fig bars contain soy? No, they do not contain soy or share equipment with soy. Is Nature’s Bakery caramel coloring artificial? We use class 1 Non-GMO Project Verified caramel color made from cane sucrose. This class of caramel color is minimally processed. Can you please tell me what are the ingredients in "natural flavors" listed on the Nature's Bakery fig bars? Natural Flavors varies from product to product, and this is proprietary information. In general, the natural flavors consist of a carrier (water, glycerin, alcohol, etc.) and a proprietary blend of Natural Flavors and in some cases food gums. There is no, dairy, soy or msg in our natural flavors. 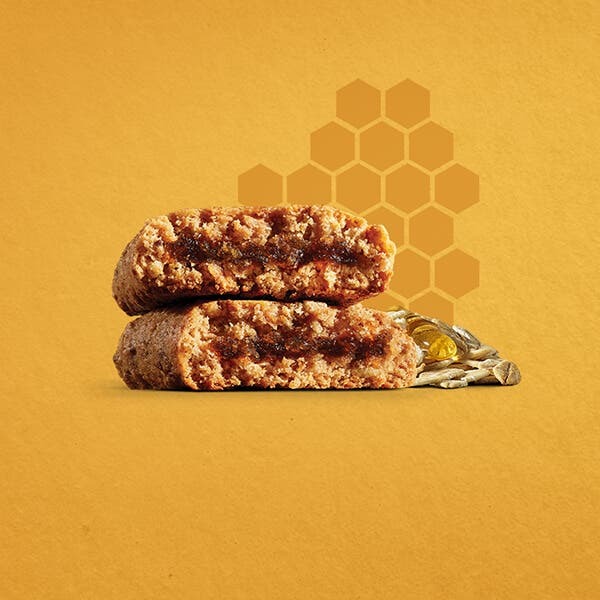 Nothing in the fig bars or natural flavors is from an animal source. 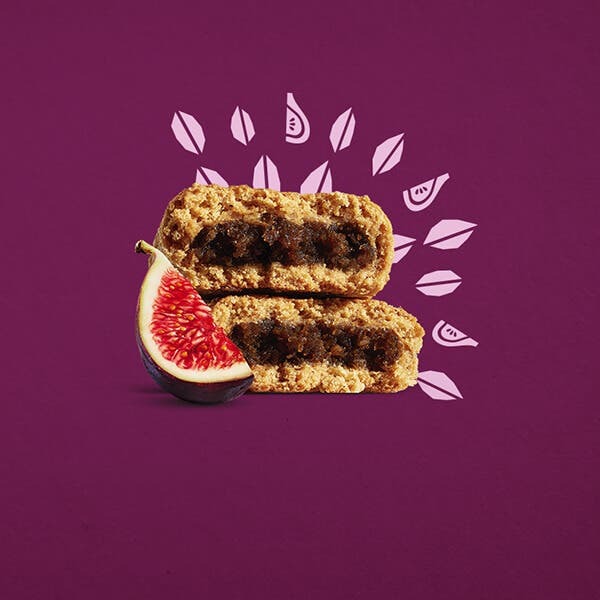 All flavors of the fig bars are vegan certified. What percentage of the fig bars contain added sugar? 3 grams from fruit & 7 grams from added sugars. How many calories in a Twin Pack of your fig bars? A twin pack is 2oz. It contains two 1oz fig bars. Each fig bar is 110 calories each. A whole twin pack is 220 calories. How much potassium/phosphorus are in your products? Are your packages/boxes recyclable? Also, are the wrappers to the fig bars recyclable? Yes, our packaging boxes are made of cardboard and can be recycled however, the inner wrappers to the fig bars are not recyclable.